Even when the negligent driver’s fault in causing your car accident is clear cut and your injuries are apparent, this does not mean that it will be easy to settle your claim with his insurance company for what you deserve. The insurance adjuster will most likely find some reason to argue that your claim should be denied or that you should receive less than what you are asking for. Here, we offer tips for increasing the likelihood that you will receive what you are owed. Conduct a thorough investigation. A complete investigate of your accident will help you prove the negligent driver’s fault in causing your injuries. This includes collecting many documents regarding the crash and your injuries, such as the police report, witness statements taken soon after the accident, medical reports, and anything else that could be helpful to your case. In addition, you may need to hire experts, such as an accident reconstruction expert, to help you prove disputed issues when resolving your claim. An attorney will know how to conduct this investigation and will have a network of qualified experts that you can hire. The negligent driver’s insurance company will be conducting its own investigation, and you would be at a serious disadvantage in settlement negotiations if you do not. Collect pictures. 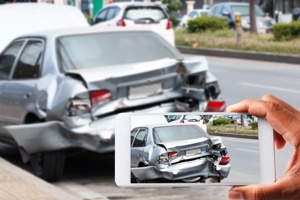 You or your attorney will need to collect as many pictures as possible of the accident scene, damage to the vehicles involved in the crash, your injuries, and weather and road conditions. Hopefully you or a person in your vehicle took pictures right away. However, you still want to collect pictures from witnesses and the police, if they took any, that could show more information than you were able to obtain, especially if you were injured. Do not release medical records. You do not want to sign a blanket medical authorization from the negligent driver’s insurance company that authorizes them to obtain all your medical records. This could allow them to see irrelevant records that they may be able to use to argue your injuries were caused by another incident. Instead, let your attorney communicate with the adjuster regarding needed medical documents. Keep the adjuster informed of your medical condition. You want to keep the insurance adjuster informed of your medical condition so he is not surprised if your medical condition worsens or you need more extended medical care. This is another communication that you should leave to your attorney. Keep a daily diary. You should keep a daily diary documenting the treatments you receive for your injuries, the pain you experience, and how your injuries have affected your ability to work and live your day-to-day life. You and your attorney can use this information in settlement negotiations to convince the adjuster of the seriousness of your injuries. If you just rely on your memory, you could forget important details. Save records of your medical treatment and your expenses. You will need to keep records of the medical treatments you received, medical bills, lost wages and other benefits of your job that you lost, and any other out-of-pocket expenses. Your attorney will use this information to calculate the amount of compensation you should receive. Continue with your medical care. It is extremely important for your health and your claim that you follow your doctor’s recommendations as to your medical care and continue to receive treatment until your doctor releases you from care. If there are gaps in your care or you are not following your doctor’s instructions, this could weaken your claim and lead to arguments in negotiations about how injured you are. If you are having problems paying for your medical care while waiting for your claim to be settled, you should discuss this with your attorney. Do not settle too quickly. You do not want to be pressured by the insurance company to settle your claim too quickly. You need to wait until you recover from your injuries or receive a final diagnosis from your doctor so that you know what all your damages are and you receive what you deserve. Know all liable parties. To increase the likelihood that you will receive the full value of your claim, you need to file a claim with any potentially liable parties. This could include more parties than the negligent driver, such as another driver involved in the crash that was negligent, a municipality, your insurance company if you purchased underinsured motorist coverage, and more. Your attorney will be able to identify these additional avenues of compensation for you. Have a realistic settlement amount. An experienced car accident attorney can advise you of the value of your claim and can send the insurance company a demand letter for this amount. However, you also need to understand the strengths and weaknesses of your claim and have a realistic bottom line amount that you would be willing to settle your case for. Your attorney can help you figure out how much this should be. Put your settlement agreement in writing. Once you reach an agreement with the insurance company, the agreement should be put into writing. The settlement agreement should contain all important terms of the agreement, be signed by you and the insurance company, and should be reviewed by your attorney before you sign it. Were you or a loved one injured in a car accident caused by another driver? The experienced Augusta car accident lawyers of Chris Hudson & Associates is here to help you obtain the compensation you deserve. Contact us online or call us directly at 888.795.6261 to schedule your free case review. How Important Are Eye Witnesses to Your Car Accident Claim?